We’ve styled our website with some familiar Frisco landmarks. Just click on the picture above to see more Frisco scenes. Hope you enjoy these pics as much as we do! How many of them do you recognize? 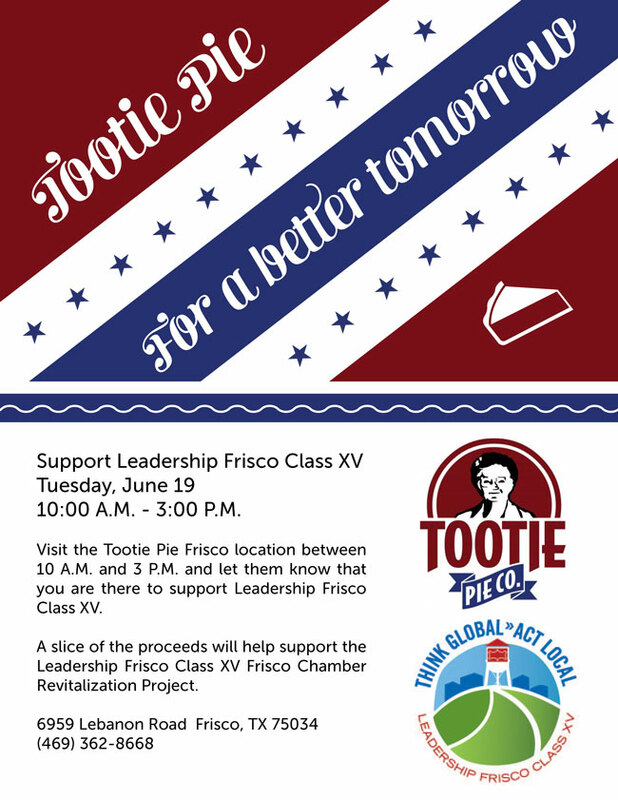 Also, a big Thank-You to everyone who came out to support our first fundraiser at Tootie Pies! And we’re only getting started … please mark your calendars for July 9th, that’s the date of our next fundraiser at Dickey’s BBQ on Preston Road. Dickey’s has graciously agreed to donate a percentage of sales for the entire day to the Frisco Chamber Renovation project! Come out and enjoy great food and help improve Frisco at the same time!